UPDATE: Alex Martens has confirmed the YouTube account mentioned in his article is not him or his account. The rumor mill is once again churning, and this time it features Rockstar Games' long-rumored, but increasingly unlikely, Bully 2. And once again the rumor comes way of YouTuber Swegta, a channel that largely treks in content based around Rockstar Games' 2006 action-adventure title and its rumored sequel. According to the YouTube channel, a video they posted back in January -- titled, BULLY 2: Leaked Concept Art & Soundtrack Samples -- was commented on by an account called Alex Martens, saying, "Bully 2 is indeed in development." Now, I know what you're thinking: who cares? Well, interestingly, Alex Martens is a developer at Rockstar Games, a Technical Designer more specifically. And apparently the same account left a similar comment on other YouTube videos from channels who also produce Bully content. But, again, I know what you're thinking: this could simply be a YouTube troll, after all, there are many of them. And this could be true, and right now we have no concrete evidence that says one way or the other that this is or isn't an elaborate trolling. However, the account doesn't check the usual troll checkboxes. For one, it was created back in 2013. Two, it has 189 subscribers. New troll accounts don't often have any subscribers, let alone 189. The account also had a profile picture, which again is not common with troll accounts. And perhaps most interestingly the account follows the Game Developers Conference YouTube channel, which is something I'm not sure some random troll would do. All of this -- paired with the fact that Alex Martens is hardly a known figure at Rockstar Games, let alone someone you'd think to make a troll account pretending to be -- seems to suggest this is actually Alex Martens from Rockstar Games. Still, I want to emphasize "seems to suggest," because we're in deep, deep rumor territory here. Gun to my toes: is there anything to this? No, I don't think so. But there's a chance, and where there is a chance, there's hope. And that's all a Bully fan can ask for in 2019. Anyway, as always, feel free to leave a comment letting us know what you think. 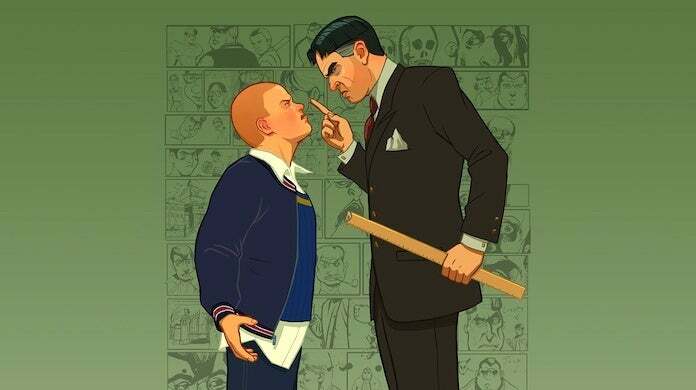 Does Bully 2 exist? Will it ever exist? Is there anything to this latest rumor?